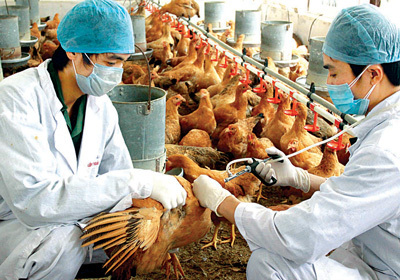 LONG AN (VNS)— Nguyen Thanh Nguyen, deputy chairman of the southern province of Long An, declared on Monday that H5N1 influenza had been eradicated in the province's Que My Thanh and Binh Quoi communes. The province will maintain tight supervision on transportation of poultry and continue instructing residents on breeding hygiene and sterilisation. The province has also offered one million free doses of H5N1 influenza vaccine to high-risk districts.